At the time of writing, scenes from this movie are playing out in real time, with real populations, in major cities across the world. It's no cosplay. Yet the masks are the same as that worn by V in the movie. They're not aping the dialogue, reciting lines word for word, but all that is being yelled across police lines is in the spirit of this movie. Today is November 5th 2014 and the Million Mask March plays out on livestreams in the corner of my screen. 'V for Vendetta' didn't cause this. It merely gave it form. But it's a form recognizable across the globe, enacting real change and tomfoolery too. I've seen this mask mowed down in blood in Gaza. I've watched it storm a tyrant's palace in Cairo. I'm watching it right now, toppled to the ground beneath a police frenzy in front of Washington's Capitol Building. 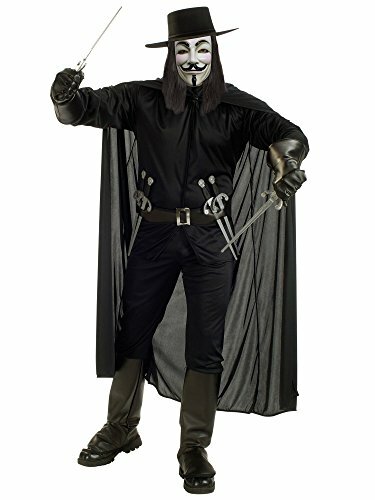 V's mask is being torn from the face of an individual, who dared to walk upon common ground with his hands up in the air. That's reality. 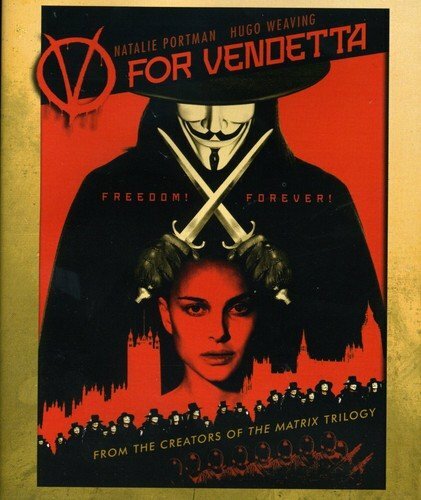 'V for Vendetta' inspired the action, the look and the dialogue. But not the spirit. That existed always and ever, in the last dying inch of us all. Which is why we recognized its language, encapsulated in this movie, handed to us on the silver screen as a means by which we may converse. 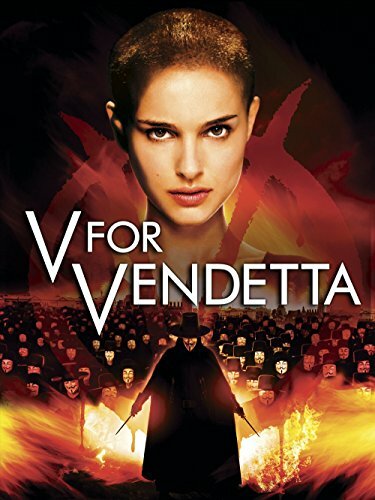 What is V for Vendetta About? In a totalitarian society, an individual in a Guy Fawkes mask lights the fuse on a rebellion. The population takes it from there. In many ways, it barely seems relevant to describe the narrative of this movie. The story is merely its shape. The ideas that it embodies are what V for Vendetta is really about. However, human beings have always warmed to ideas wrapped up in stories and songs. The mage and the muse are forever interlinked in our psyche. Our childlike souls reach for heroes; our ancient minds allow us to be them. But sometimes it takes the damaged people to see through the cracks of conformity, to see where change might benefit the whole. 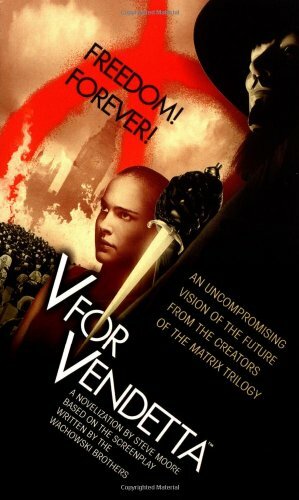 In V for Vendetta, the visage and voice shaking the status quo is V.
V for Vendetta is set during the 2020s. War and the St. Mary's Virus pandemic have ravaged the whole world, collapsing civilizations and creating a lawless wilderness of some of our greatest cities. Southern Britain is one of the few regions still standing, but it's in the grip of a totalitarian fascist dictator. Norsefire - or merely The Party - owns everything. All sources of information. All decision making for the whole nation. People are told what to think, what to believe, what to read, see and hear. Classic literature is censored out of existence. Music is proscribed down to the military tattoos and patriotic Party tunes. Art is locked away. All human expression beyond the most rigid channels is suppressed with an iron fist. Muslims and immigrants are rounded up into concentration camps and killed. Homosexuality is banned - medical experimentation unto death is the Fate of those intent upon following their natural inclinations. All political dissent ends in a hail of gunfire. Anyone outside their homes after night fall is deemed an enemy of the state and instantly Disappeared. Enter V - a man? 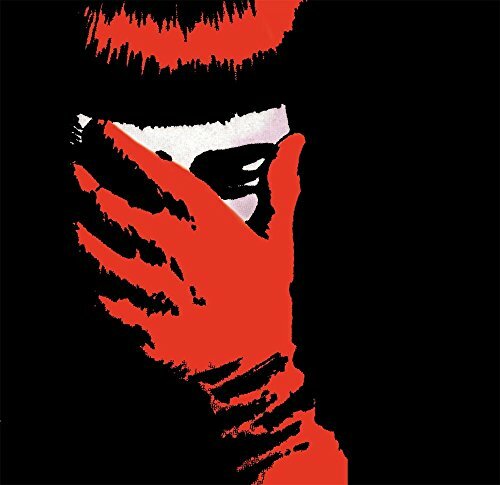 A woman? A ghost? An idea made flesh? - who collected the prohibited past sum of all human knowledge, thought and notions, and learned their lessons well. Who reached into historical instances to discover how to defy tyrants. Then applied it to the present. In doing so, V showed a terrified population how to overthrow those who imposed terror. The terrorists of mass media and government need a flesh and blood man to kill; a real world name to reduce; an individual's reputation to ridicule, ruin and disempower. It proves impossible when the man's face is so easily multiplied; when the name is symbolic; and when the reputation is a timeless idea surging in the last inch of freedom that resides untouchable in everyone's hearts and minds. Even slaves sang redemption songs. Even the solitary may dream. Even a frightened and suppressed people may rise en masse and don the mask of freedom. Ideas are bulletproof. We take our place in the slip-stream of an on-going narrative. All those Guy Fawkes masks have been worn throughout the past, just in another form. Written by the Wachowskis and directed by James McTeigue, the movie V for Vendetta isn't the first to tell this story. The pat answer is that Alan Moore's graphic novel, upon which it is based, was the first. It's certainly the better rendering. But it's not the first. Characters, context and dialogue change, but the story is told over and over for each new generation. Plato told it, when he described the death of Socrates. Here was a man who always asked 'why? ', who challenged authority even at the very dawn of democracy. He willingly drank the hemlock which killed him, rather than retract his philosophy. It's a story recounted in endless Arthurian legends, as a revolving cast of individuals ask the Grail questions - what does this mean? Whom does it serve? And most importantly of all - who owns the Grail? It's a tale told by the poet Shelley, stripped of all spirituality in an Atheist guise, as he exhorted his Men of England to question their lives - what is it ye buy so dear, with your pain and with your fear? These are sentiments screamed from Chartist lips, echoed by Suffragettes, trade union workers, Civil Rights marchers, revelers outside the Stonewall bar and the Occupy Movement. Plus so many more that I have neither the scope nor time to record them all. Only the respect is infinite. 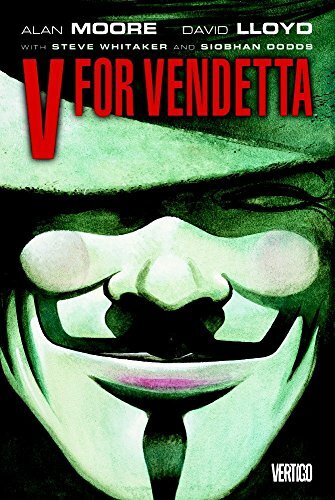 V for Vendetta is by no means the first - graphic novel nor movie - but it's certainly the most powerful modern repetition of this vital advice for populations. The baton got passed in millions of minute ways throughout history. Our ancestors kept it safe. This is our time. What happens on our watch is down to us. From the future, a shadow gallery of hands reach back to take the baton from us and carry it on. And there's no doubt that they'll receive it etched with a Guy Fawkes mask and the defiant cry that ideas are bulletproof. Then mold its form to match their times too. I could have said 'formats', but you know, v for version validates the vernacular. Vouchsafing the value in variety for everyone. Only when you pin something down does it become a focal point vulnerable to attack. V carefully ensures that his own idea has no fixed form. As I write, my series of livestreams and Twitterfeed show me that a mass of people in Amsterdam are chanting for the freedom of Julian Assange. In Britain's Birmingham, a passionate speech warns of the perils of trusting mass media. Manipulation of information is the primary tool of any who would subdue and control a population. Across in Washington DC, hundreds of people are reciting the First Amendment of the US Bill of Rights in unison. They are surrounded on all sides by armed police officers. The statuesque smiles of Padraig Pearse and Daniel O'Connell look down upon Dublin's marchers. Without fear of being shot, they are waving the Irish tricolor, while a marble angel in the background still bears a bullet scar upon its breast - a centenary hole courtesy of the Easter Rising. Irish voices are now raised in condemnation of austerity cuts. Up in Helsinki, people line the steps of the Parliament Building. With no Finnish, for shame I cannot tell what they are telling the populace. A darkened photograph taken at a British bonfire party shows a lone individual surrounded by families and fireworks. Saying nothing, merely making the point that they are there, everywhere, even in local gatherings outside of the cities. Every single face thus far described is adorned with a Guy Fawkes mask from V for Vendetta. The power of the idea is paramount in the movie. The message that it encompasses is not. That changes from person to person, place to place, epoch to epoch. It mutates to fit the circumstances perfectly, in each environment in which it is embraced. The idea is simple. We each have the right to question, to know, to refuse or accept, to speak up and be heard. We are each our own governments. We are the arbitrators of our own conscience. We may defend even those whom the media would direct us to attack. We may attack those whom our politicians smoothly guide us into accepting. This is our world too, and what we do with it is down to us. Our responsibility. Our inheritance and our legacy. Keep the idea fresh and the rest will follow, flavored locally like the taste of tofu. Nor will V direct the nature of the rebellion against the presented status quo. That too will alter from time and place, on and on, throughout history and into the future. Wat Tyler will lead the Peasant's Revolt with pitchforks. Rosa Parks will refuse to leave her seat on a bus. Mahatma Gandhi will pan for salt. Guy Fawkes will affix a fuse to 36 barrels of gunpowder. Men will throw crates of tea into Boston Harbor. Emily Wilding Davison will (accidentally perhaps) throw herself under the king's horse. An unknown man will stand with shopping bags before tanks in Tiananmen Square. Martin Luther will pin articles of faith onto a church door. In the face of them all, the authorities will assert that their reality is the only one. That civilization remains static, unchangeable and stuck within the vision presented by their party line. "And yet it still moves," whispers the ghost of Galileo, discerned by all who share V's worldview. The one which states that change is not only a constant, but the birthright of the human condition. V for Vendetta in itself isn't important. It's merely that the idea was given expression once more, only this time in language understood within a modern context. The idea was the first domino flicked. Illusions toppled where it touched revealing a much, much bigger picture. One still unfolding as we speak, outside the silver screen and onto our streets. One of the most important lessons from 'V for Vendetta' is that no figurehead means no main target. 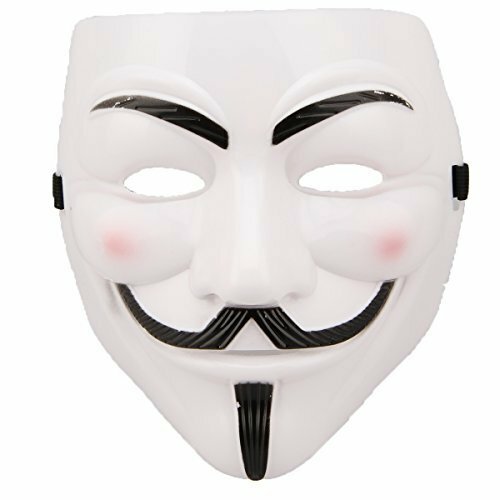 The anonymity of V means we may all take on his mantle, or mask. This activist collective is the most famous modern expression of the idea, as encapsulated by V in 'V for Vendetta'. 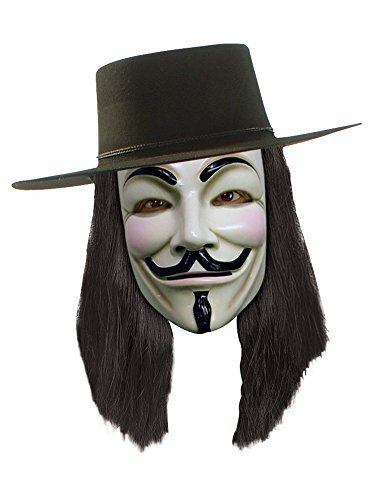 The historical Guy Fawkes has been kept famous by centuries of British Bonfire Nights, and the success of V for Vendetta and Anonymous. But who was the real Guy Fawkes? You don't need any of this. It's the mind that matters, not the mask. It's the idea that lives, not the look. Actions always speak louder than polyester and plastic. Rajah, I pass the baton on to you (with an option on endless batons retained and passed on to others at will). This is our time and our watch. Our children's children's children rely on us to keep it shiny and keep those ideas moving on. Ah! Sorry, I went down the Sociology angle, instead of looking at the aesthetic. The Guy Fawkes masks/Anonymous look is certainly striking. I agree that it grabs our attention in a wonderful way. As a public relations exercise and/or a means to raise awareness, it's pure genius. Go Alan Moore! No it's not that, that I was attempting to get at. The tribe/unity thing, not in the sense of finding your tribe (that is a TOTALLY different aspect). What I was trying to say and what I meant is that it is literally quite jarring to suddenly see a large group of essentially faceless people. I think the exact same effect could be achieved using any mask which I suppose wasn't too human-like. It stopped me in my tracks. There wasn't a fear response, but there was a sudden alertness, and I suddenly started paying a lot more attention. Even though I was there to join them, and was excited about it. I figure it has to be something with approaching an unknown animal, especially one which you expect to be something, and are suddenly something totally different. Yes that mask is a face, but not one which your brain is assimilated to on an everyday basis at all. It's not terribly human like, not really. 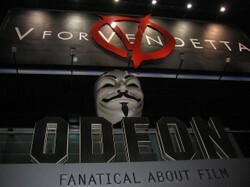 And that is perhaps the most brilliant aspect of the use of the anonymous/V for Vendetta mask. I was there and expected to see it....imagine a person who had no idea what they'd step out of a building to see, or round the corner, etc, who experience that same sort of sudden shock, potentially before they even realize what they've seen and potentially not even why afterwards. And suddenly I realized what we were doing (standing/ moving around aggressively) or the signs we were holding would be seen by these people, really seen, and therefore were important. Especially if everyone was working/moving as a united body. How shocking must that be to witness to an outsider? It's certainly a striking way of protesting. It's unity. Finding your tribe and knowing that everyone is working together to make a better world. But there's also the faint eeriness, because so much of our communication comes from watching facial expressions. 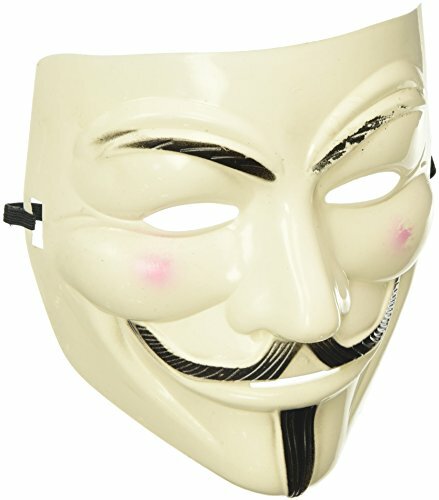 I think it's incredibly powerful, when you get a large group of Anons - in the movie or in reality - all wearing the mask. Interchangeable, thus bulletproof, for if one falls then another may pick up the mask and it's like that brother or sister never fell. Something that was really interesting was seeing the effect of multiple people in the masks. It's hard to explain, but it was very very different to looking at the people who simply had their faces covered with bandanas or whatever else (but I mean for some that's all they have, it's not a problem, it's just interesting to see the effects the masks have). At the one I attended there was even a family, and even their little boy had a mask and a sign... It was hard to actually look at him as a child with the mask on. Perhaps it is because you're literally faceless when you have the same face as everyone else, as opposed to just having a covered identity. But the effect in the movie when the masses show up wearing he costume is the same achieved when you have a good crowd of people in the masks. It really adds something to the protest I hadn't really realized until I witnessed it.